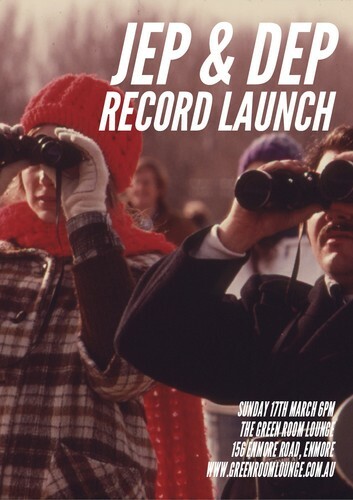 Jep and Dep are Jessica Cassar and Darren Cross, a 60′s inspired folk/country duet,writing nostalgic songs telling of love gone right and love gone wrong. Their influences range from Townes Van Zandt/ Johnny Cash/ Lee Heazlewood and Nancy Sinatra to Skeeter Davis. It is only one year since Jep and Dep decided to join forces (and voices), they toured Berlin’s underground folk venues; busked in Paris and Italy and played shows in many different musical hubs scattered around underground Sydney. Join them for their debut E.P launch, Through the Night produced by Darren (Gerling/Betty Airs/E.L.F) at his Bernstein Studios.